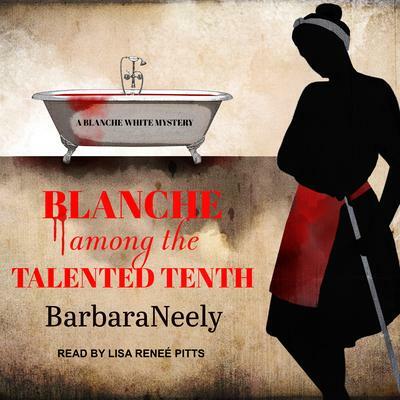 The second, ground-breaking mystery featuring African-American maid and amateur sleuth Blanche White by Agatha, Anthony, and Macavity Award-winning author Barbara Neely. When Blanche White moved north to Boston, she believed it would be a better place to raise her kids, especially after she got them into an elite private school. But now her children are becoming elitist and judgmental, acquiring more attitude than education. So when she and her kids are invited to Amber Cove, an exclusive resort in Maine for wealthy blacks, Blanche jumps at the chance to see how the other half lives and maybe stop her kids turning into people she doesn't want to know. When one of the guests kills himself, and another is electrocuted in her bathtub, Blanche becomes an accidental detective once again, using her sharp wit and keen social insight to peel back some disturbing color and class distinctions within the black community that may have driven someone to murder.